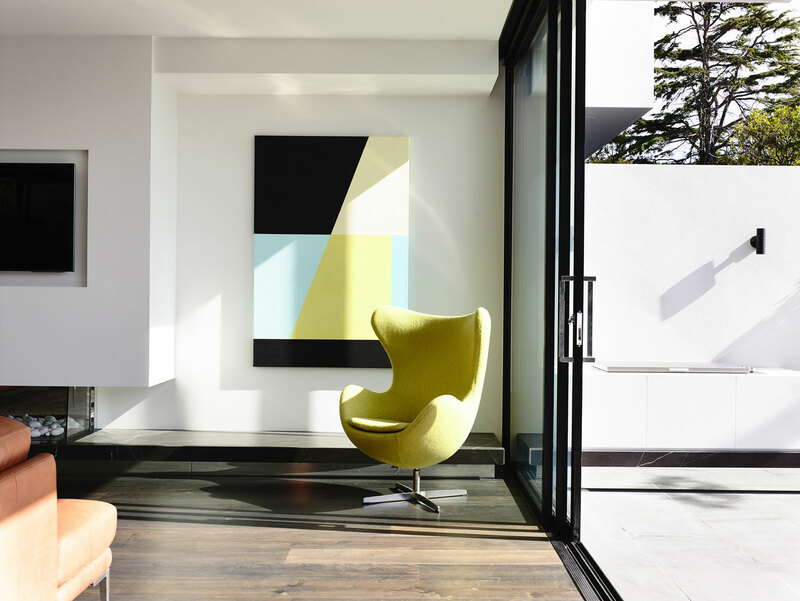 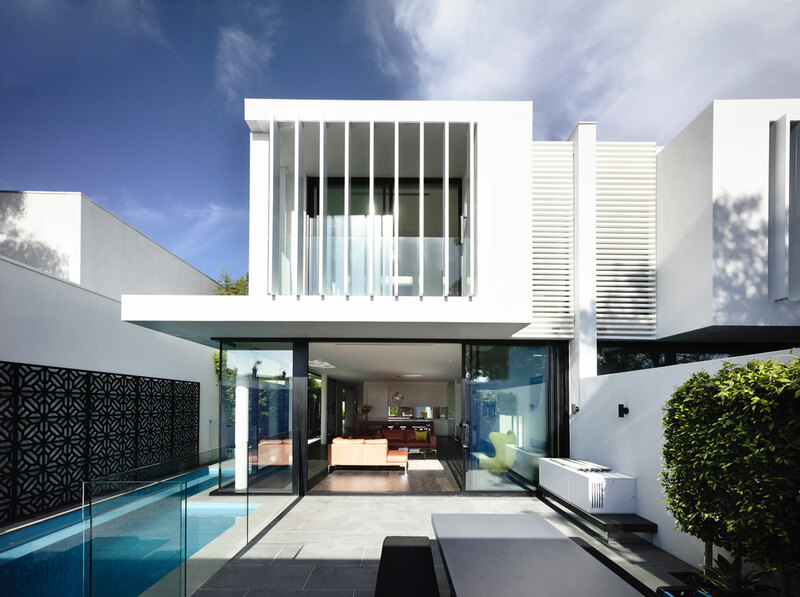 The Brighton Townhouses were completed in 2013 by the Victoria based studio Martin Friedrich Architects. 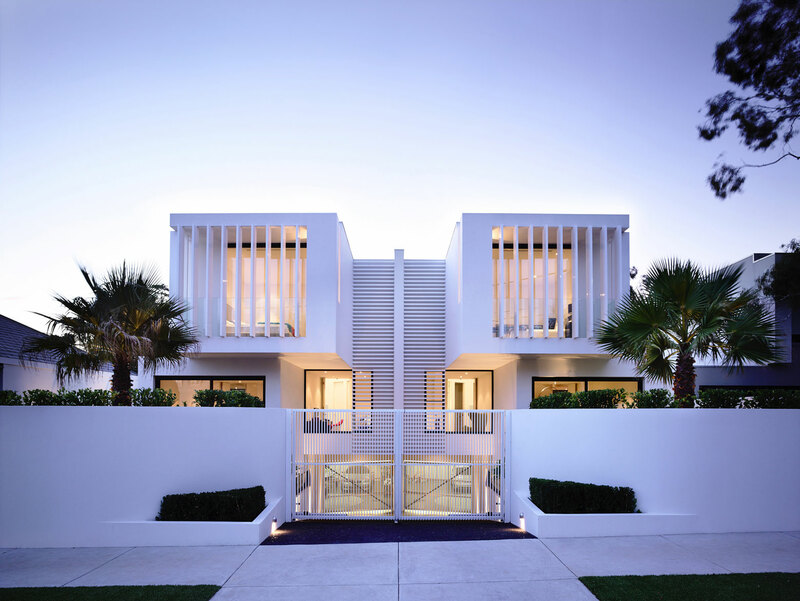 These two townhouses have been designed in a minimalist contemporary style with spacious open-plan living / dining spaces. 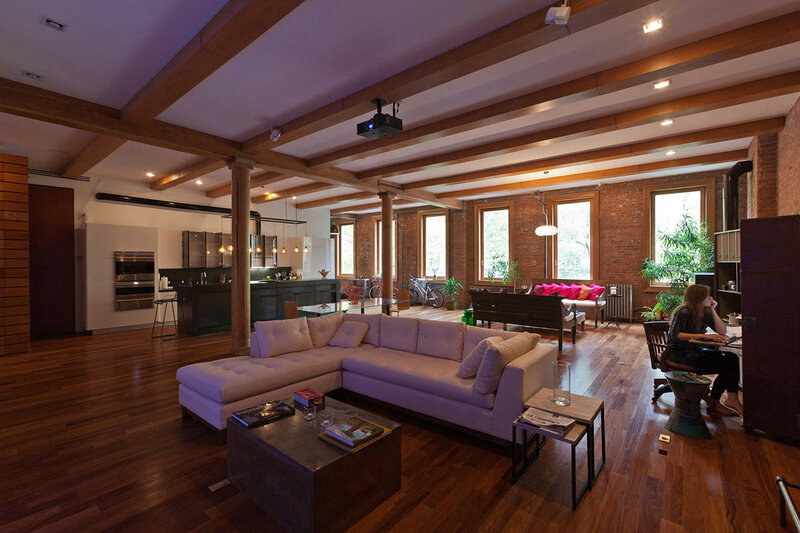 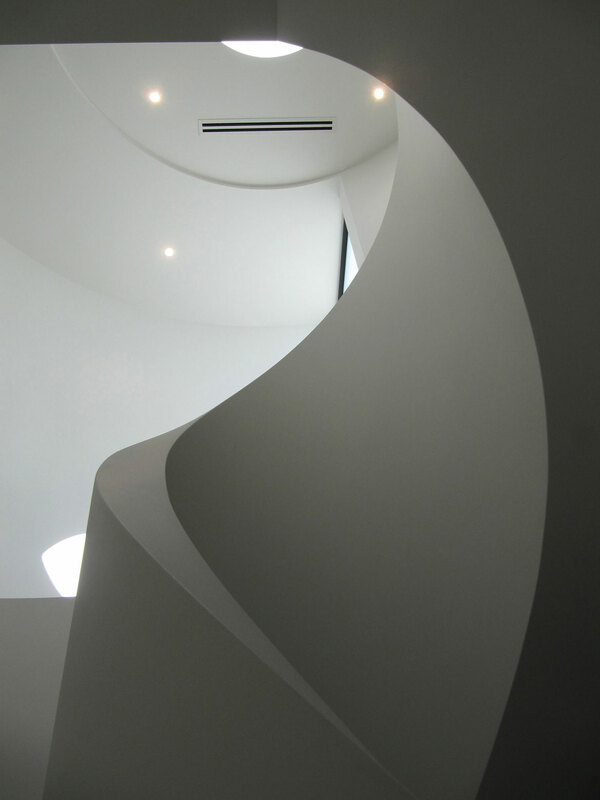 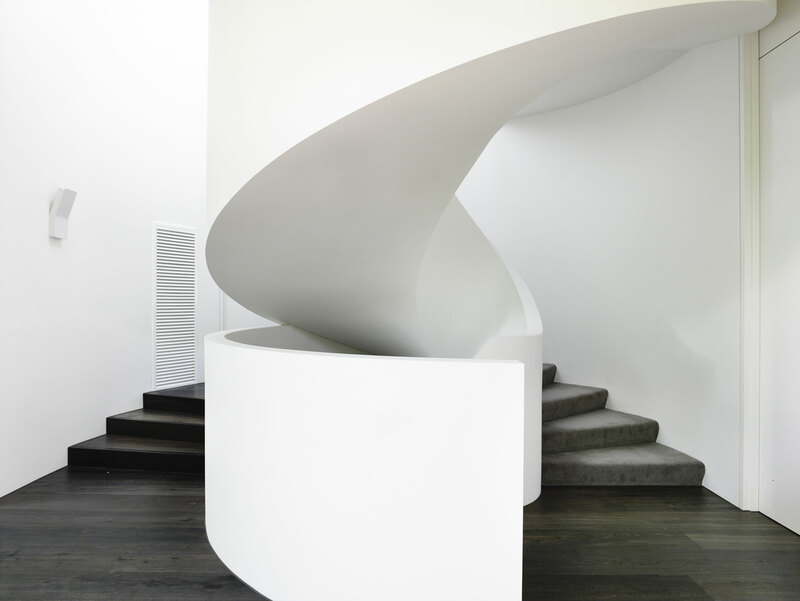 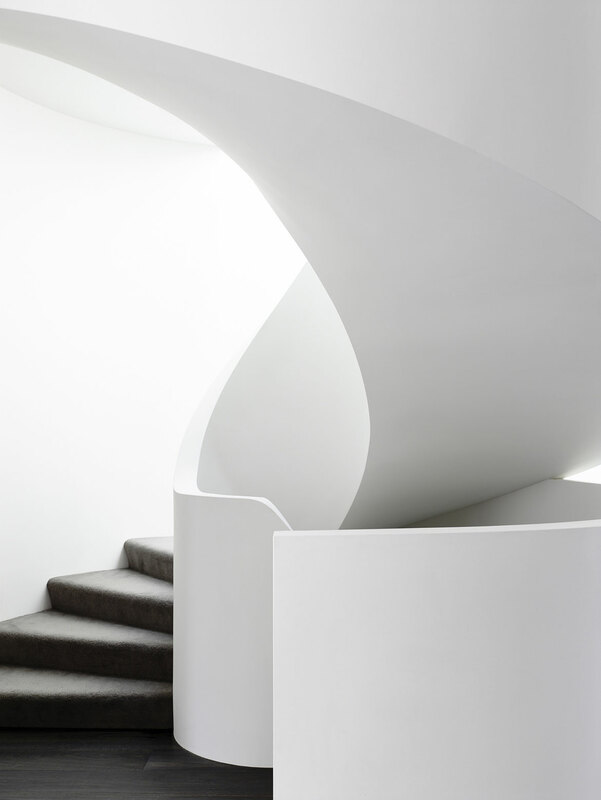 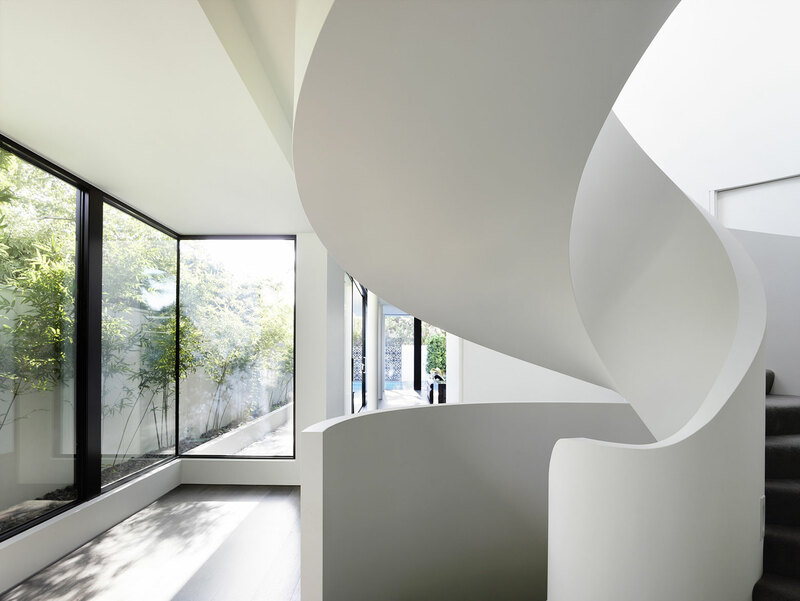 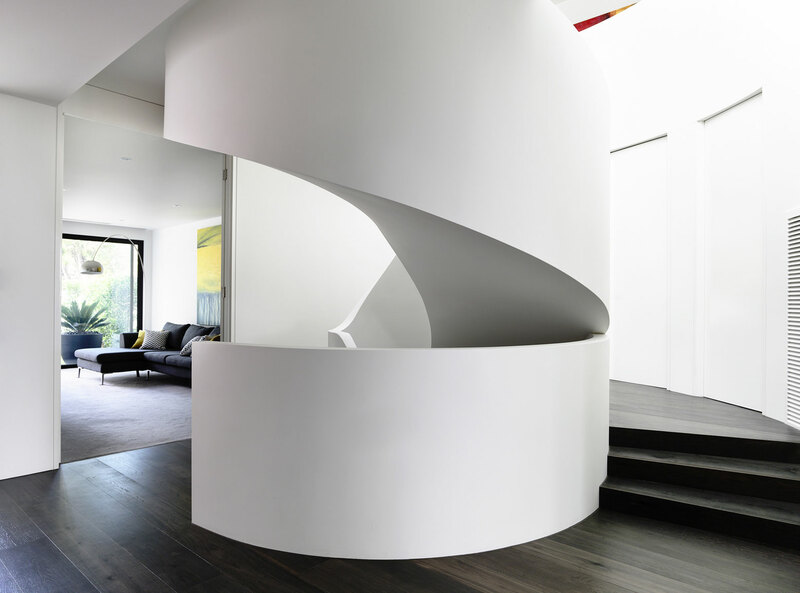 A large free-standing circular staircase transcends all three floors. 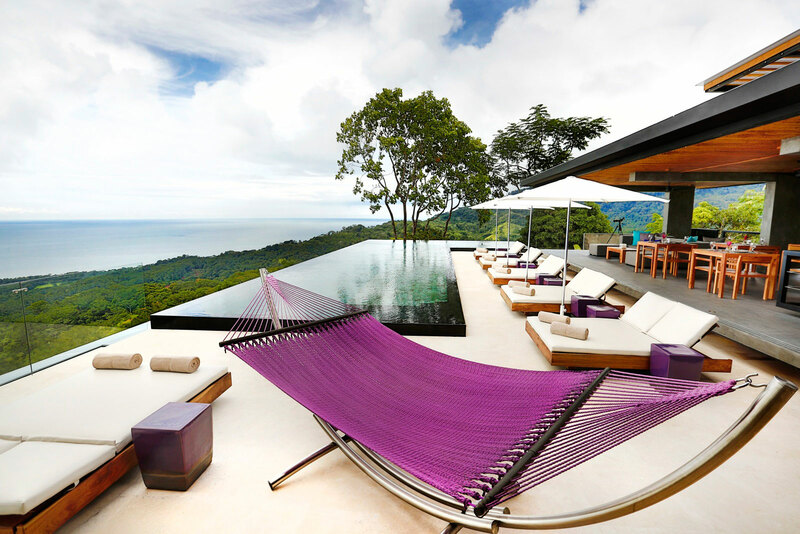 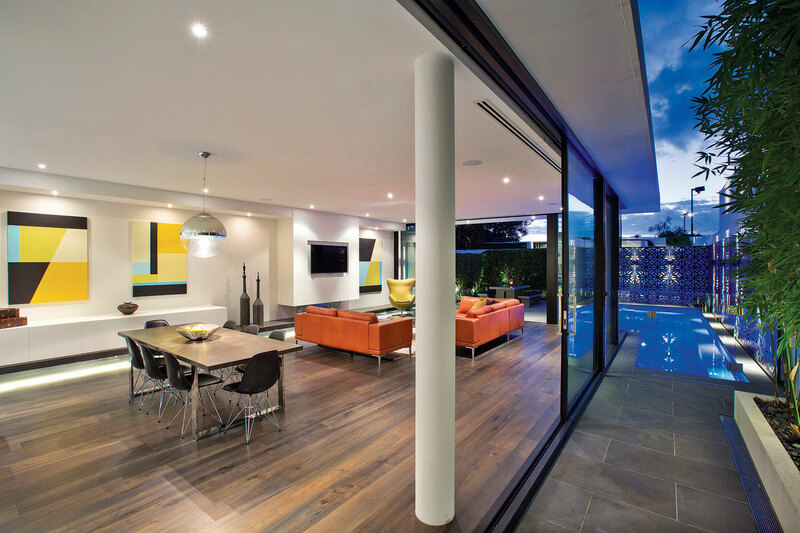 The living room opens fully to the outdoor entertainment area via glass sliding doors, the private courtyard offers an outdoor dining space and an inviting wrap-around pool. 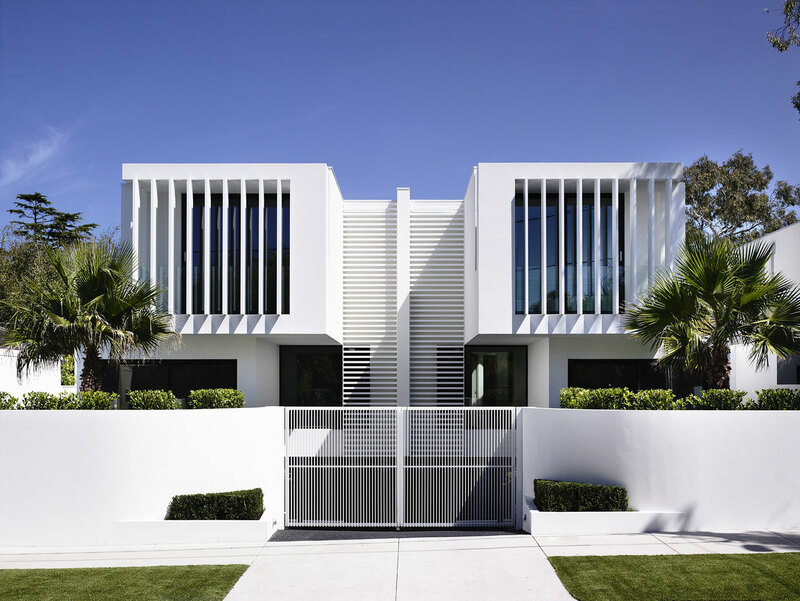 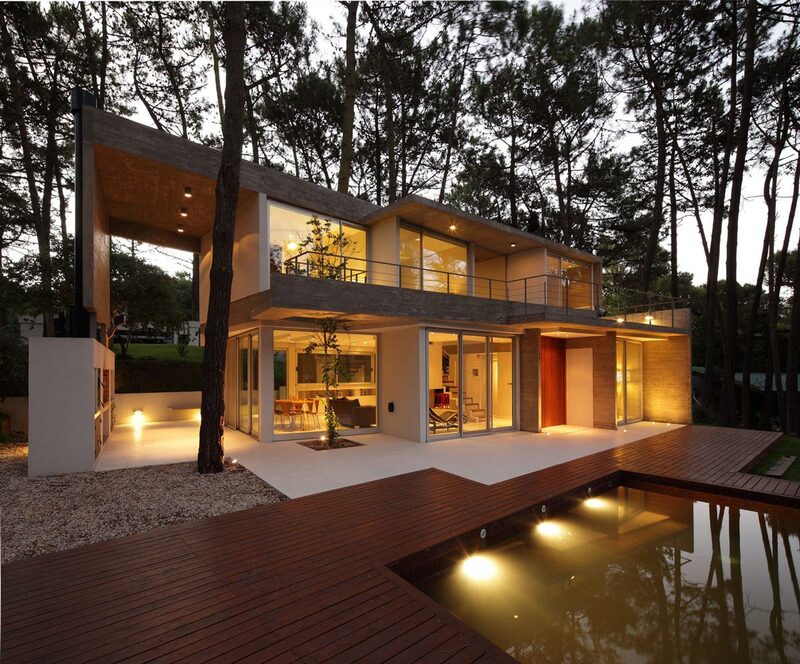 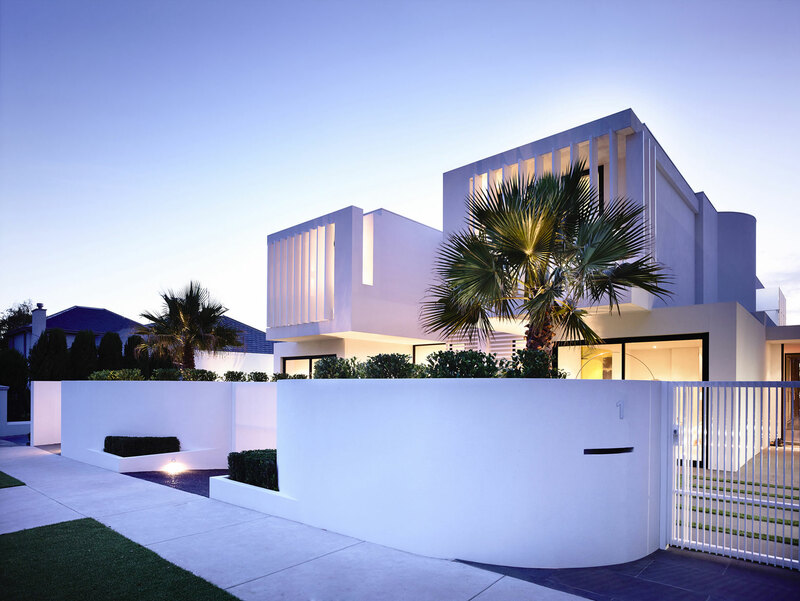 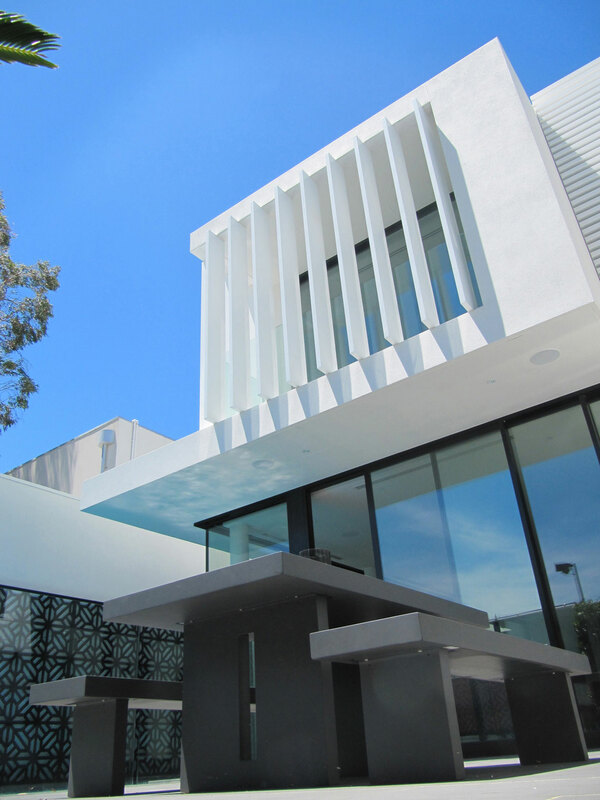 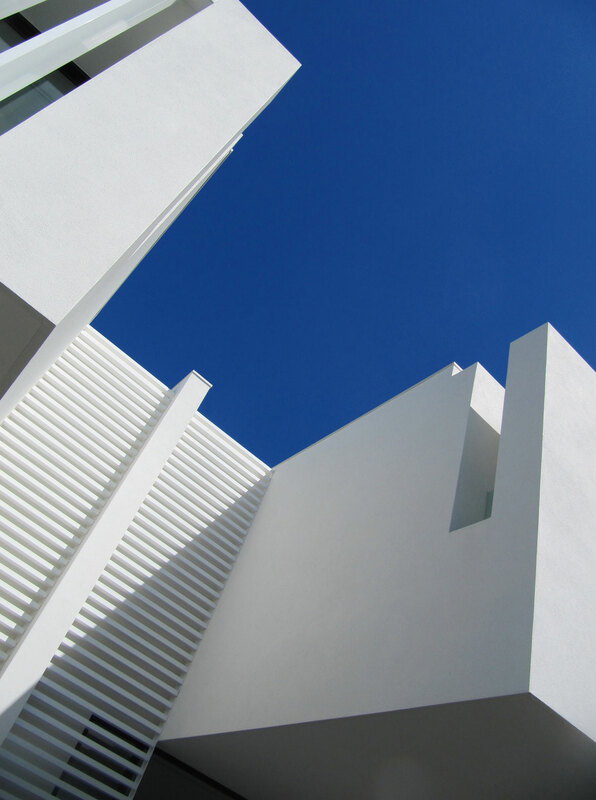 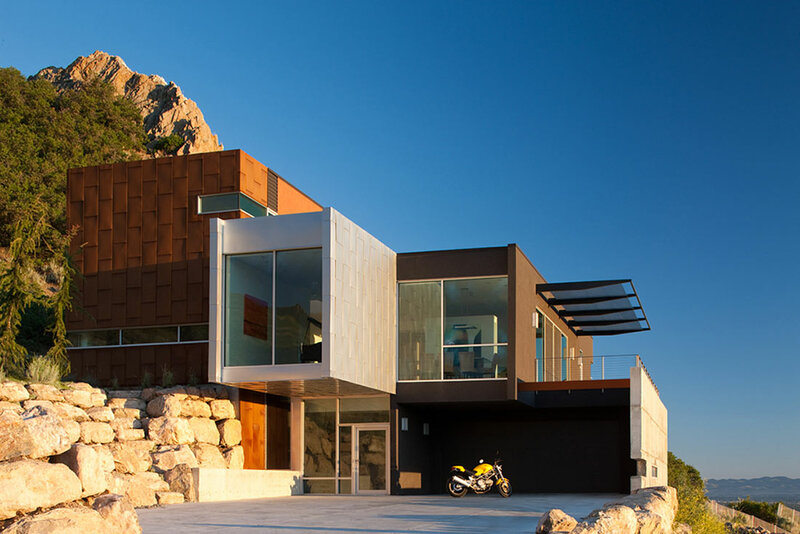 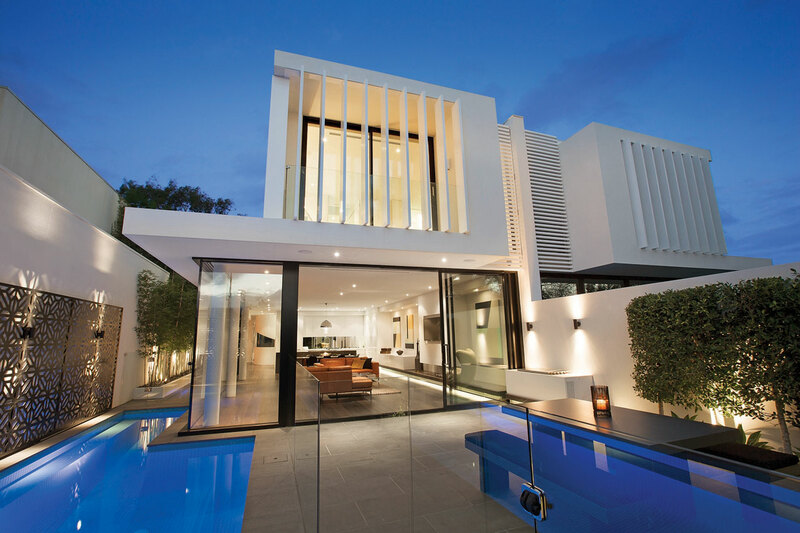 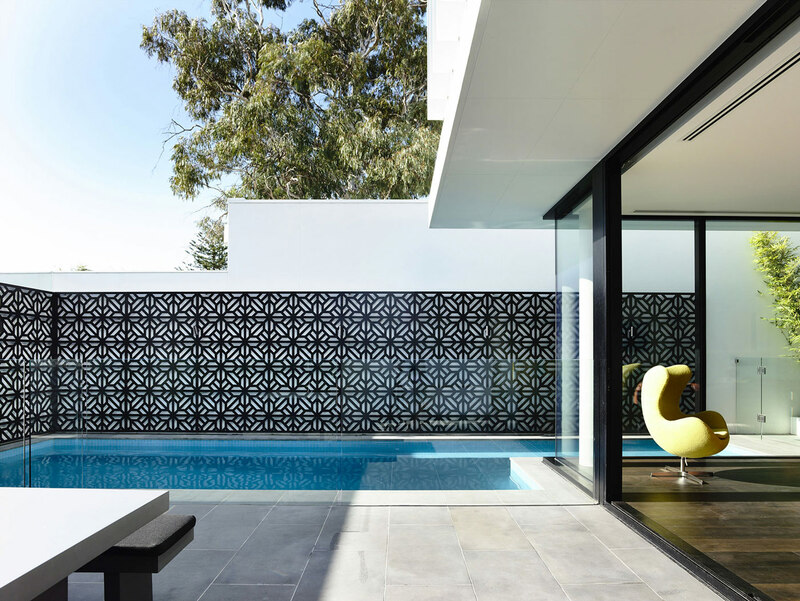 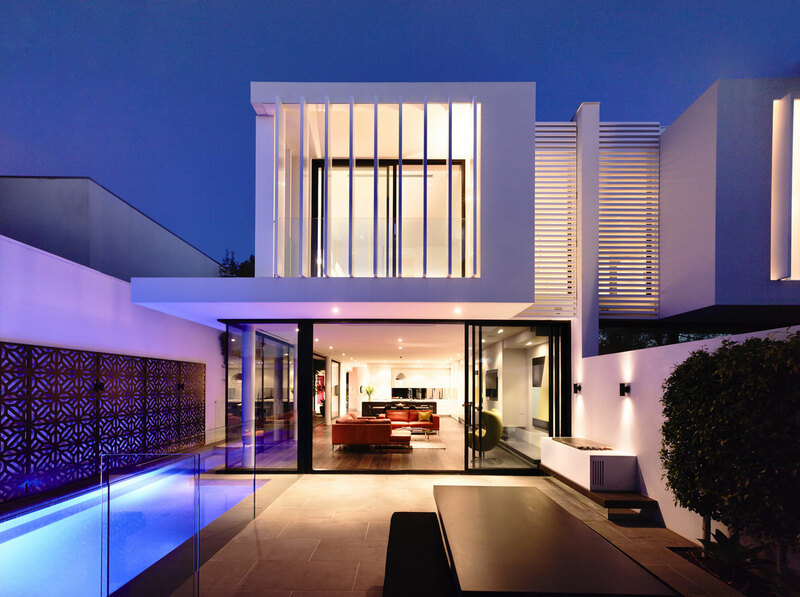 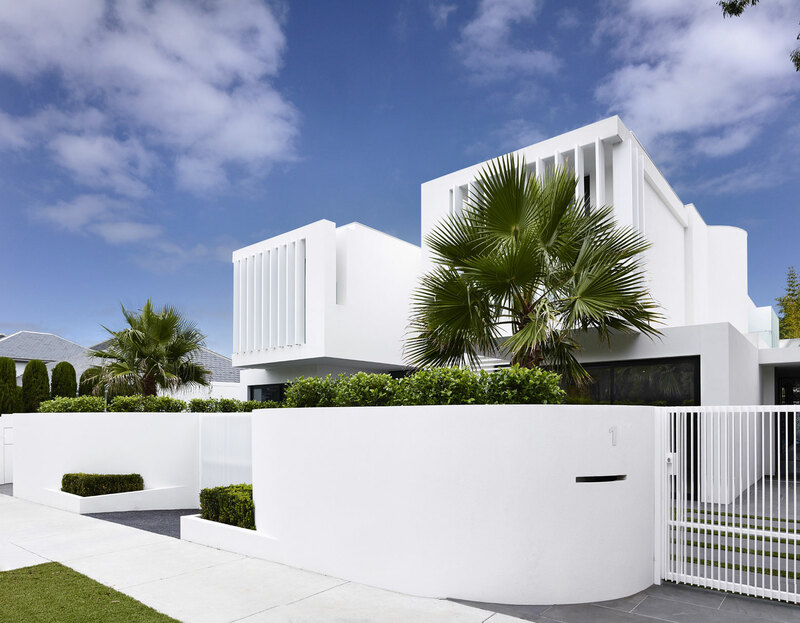 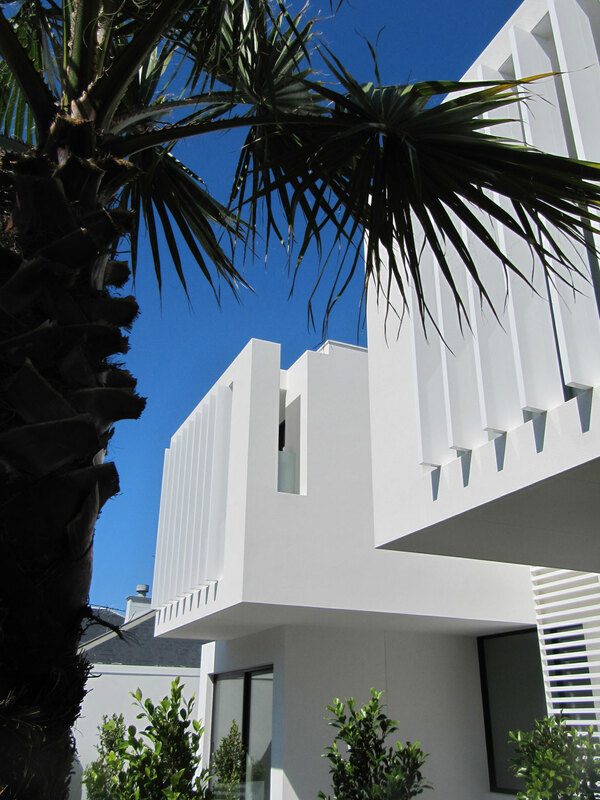 The Brighton Townhouses are located in the affluent beach-side suburb Brighton, Melbourne, Australia. 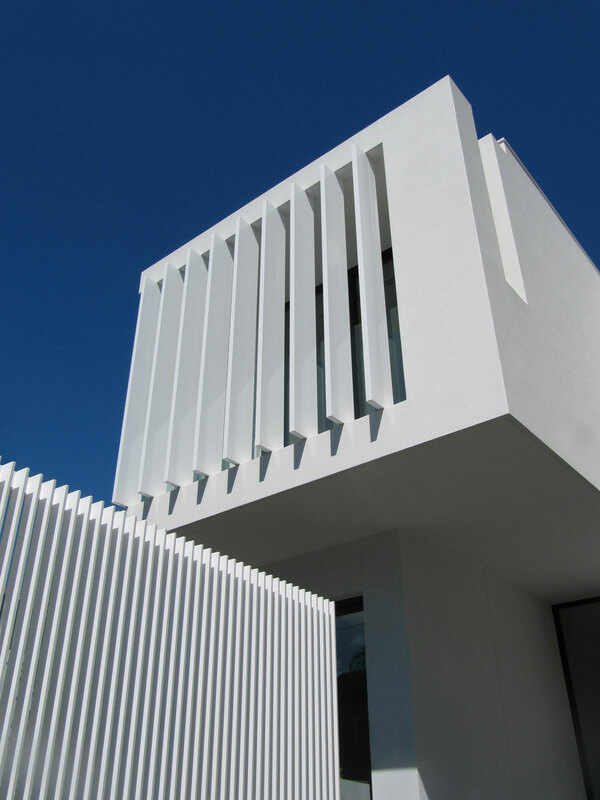 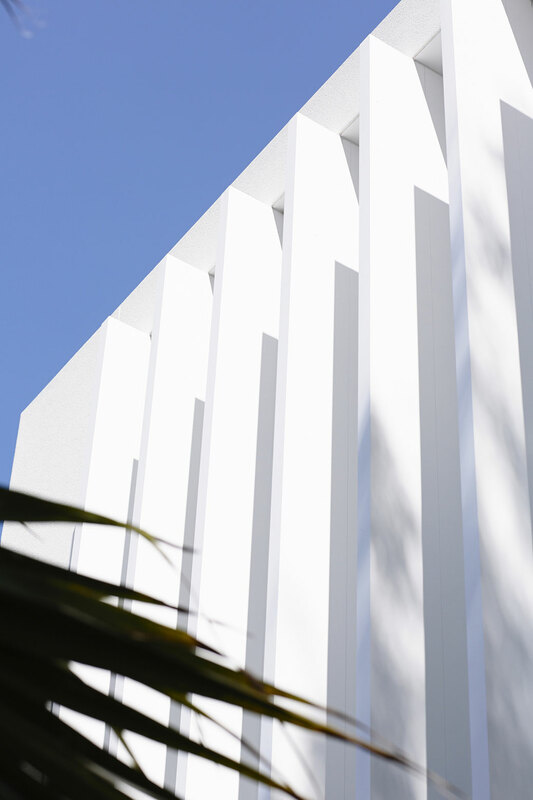 The building is finished in a minimalist palette of pure white render externally with white louvers on the front and rear providing privacy from the neighboring townhouse and breaking up the simple shapes of the cantilevered cuboidal forms. 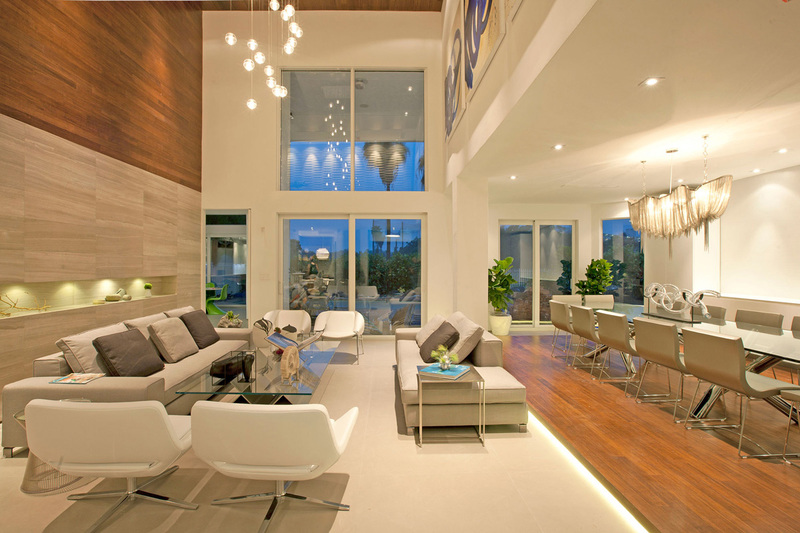 Internally, the deep grey European oak flooring, Pietro Grigio marble and mink grey carpet contrast with the white walls and add warmth and richness. 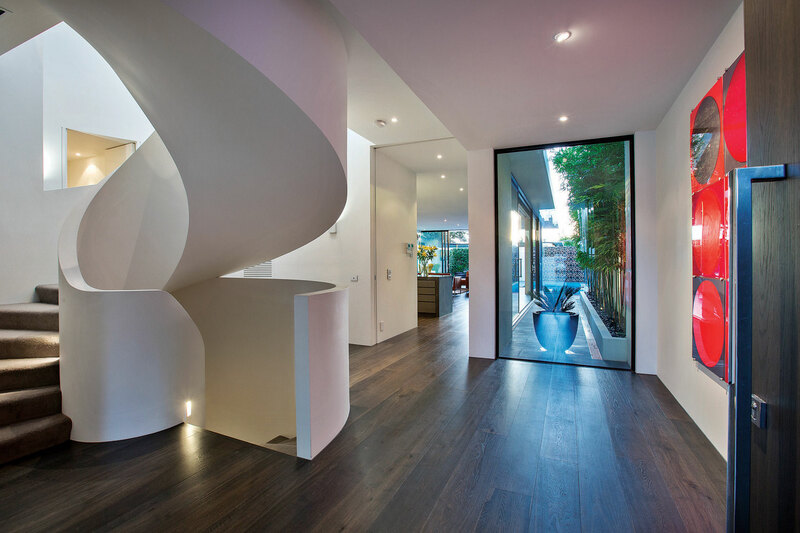 The colour of the flooring is repeated in custom designed cabinetry throughout the houses including the cinema and study. 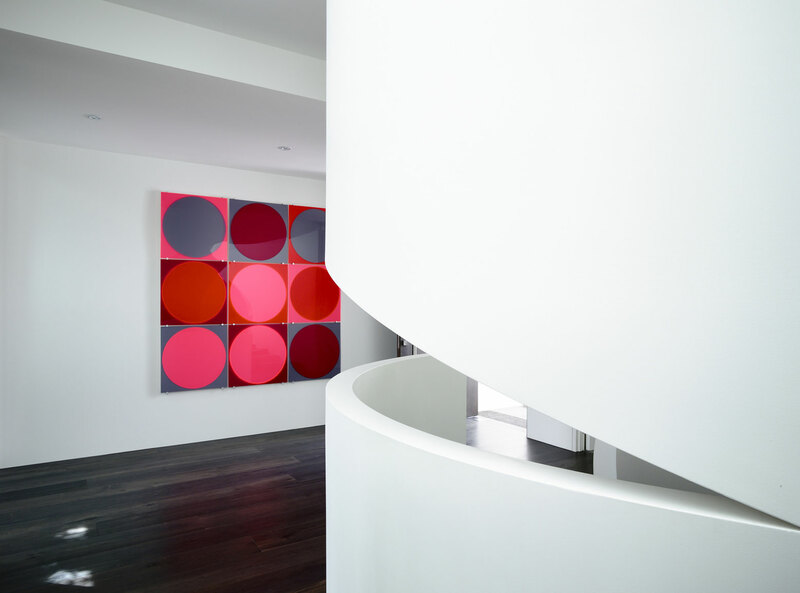 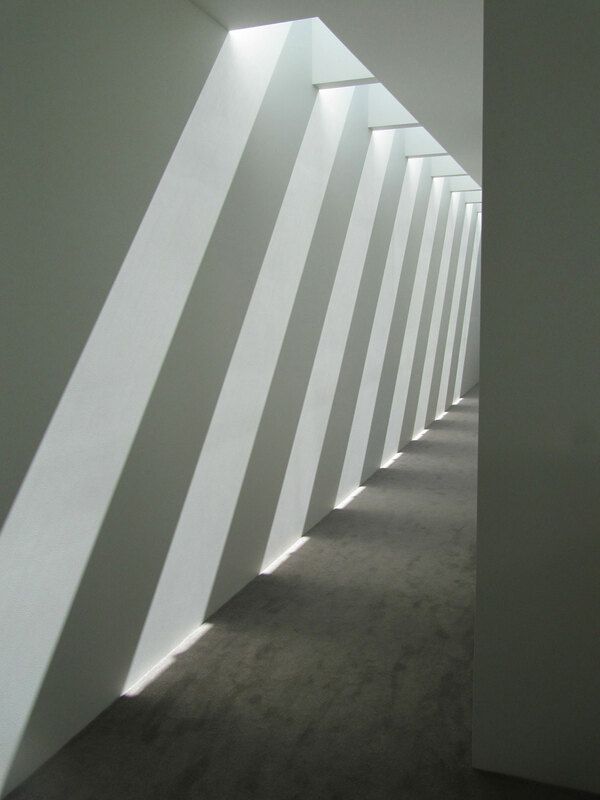 The pure white interior is further accentuated by the vivid colours of the artwork.